I am being very strict with myself in the writing of this review, adamant not to make Bridge of Clay vs. The Book Thief comparisons. One quick one though - Bridge of Clay pales in comparison. God, I’m devastated; it was painful. We are shown the lives of five brothers and their parents through lenses smeared with metaphors. Zusak’s flowery language, and use of time travel, made the plot utterly confusing, disengaging, and difficult to get through. I almost didn’t finish. It was like a dream, in the worst way possible. No sense of time or space, no idea what’s happening, no connection to the confusing, misty characters around you, and everyone consistently speaks in riddles. There are many reviews stating that it takes a while to get going, but I found the opposite to be true. Filled with excitement and adrenaline, I plunged in, only for my hope to dissolve slowly with each page turn. I felt it started with promise (it’s Zusak), and just descended more and more into the abysmal. Most notably, my tolerance for the style, my suspension of disbelief, and my wavering patience, gave out immediately after a majorly tragic event which should have affected me, but didn’t - couldn’t. I wanted it over with. One more comparison (sorry) – I feel Zusak has misunderstood the success of The Book Thief. Yes, he also used many metaphors and symbols in that story, alongside flowery language. 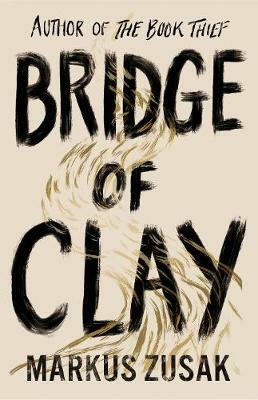 But, it’s almost as though he’s written a metaphor or something of ‘poignance’ into every sentence of Bridge of Clay, believing that’s what makes a bestseller. But, at least for me, it’s not about the quotable parts. The Book Thief was entirely about the characters and how he built them. The Dunbar brothers will disappear from my literary memory very soon. My advice here would be to give it a try, but if you’re considering giving up after 100 pages, it’s not going to get any better for you. If this review disappoints you, please know it’s not the review I was expecting to write.